The holiday season is still a few months away but it wouldn’t hurt if online sellers prepare for this time of the year. 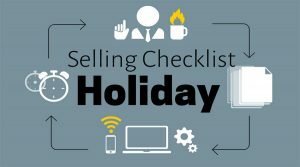 After all, the holiday season (which begins on Thanksgiving and extends a few days after Christmas) has traditionally been the most productive time for many online sellers. Thus, entrepreneurs selling online should plan well in advance for the holiday selling season. There has been one trend observed for the past decade—e-commerce retail sales are increasing every fourth quarter of the year. According to the US Bureau of Census, e-commerce sales rose to 9.6 percent in the last quarter of 2016 before falling back to 9 percent in the first semester of the following year. In the old days, Black Fridays meant lining up early at brick and mortar stores. But these days, consumers don’t have to go to retail stores to buy products at discount prices. They just buy online. Internet giant Google has been putting more premium on locally focused ads to Internet users displaying local intent in their online queries. During the holiday selling season of 2016, local inventory ads of Google increased from Thanksgiving to Christmas. This can be attributed to increased interest from local searchers and advertisers becoming more reliant on these ads.